These concerts are always acoustic music of various types ranging from bluegrass, singer/songwriter, Scottish, Irish, Americana, indie, cowboy, old time country, and of course, folk both traditional and contemporary. The concert begins at 7:30 pm. Admission is $18.00, $14.00 for senior citizens (65), children under 12 free when accompanied by an adult, children 12-18 and students with ID $14. Tickets are sold at the door. Singer-songwriter and storytelling bluesman Roy Book Binder has been rambling around the world for the past 45 years. He gave up his Greenwich Village "pad" in the early 70's and lived in his "Tour Bus" for the next 15 years crisscrossing the US and appearing at festivals throughout Canada & Europe. Roy is considered a walking encyclopedia of blues music, artists and lore. He has authored five video tutorials for the well-respected Homespun Lessons, and has nine CDs currently available, on top of numerous previous vinyl records and tapes. 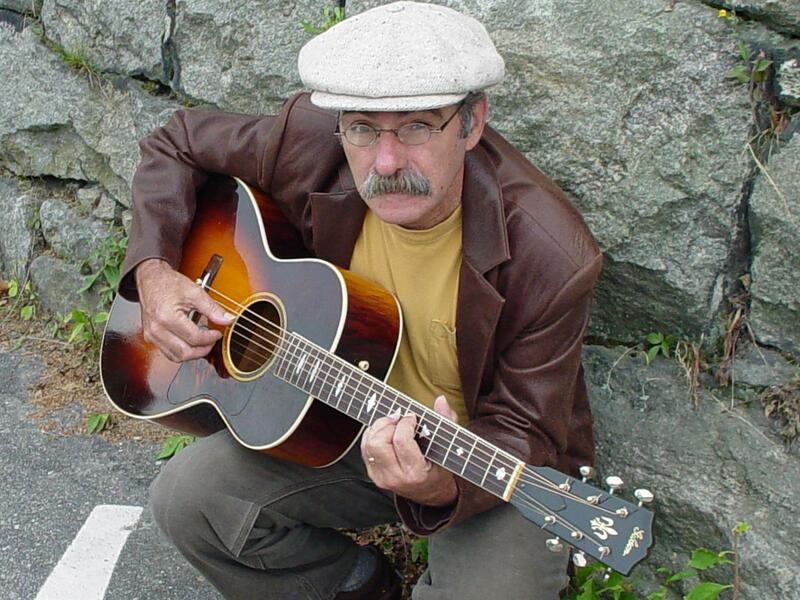 Roy has been one of the legends of acoustic music for a long time, and we are delighted to have him on our stage at Second Saturday. In August, 2013, THE GOOD BOOK, Roy's latest release of all original songs, reached #3 on AirPlayDirect's Americana charts. #1 was Guy Clark & #2 was the late Townes Van Zandt. Folkdj.org had Roy in the top 3 artists for July, 2013. Our upcoming May, 2019 concert promises to be a memorable one. Put May 11 on your calendar and join us for a great evening!